Passengers in Edinburgh will be given a chance to view the state-of-the-art Virgin Azuma train when it arrives in the Scottish capital today to prepare for a driver training programme. The Hitachi-built intercity train, whose name means “east” in Japanese, will transform travel on the east coast route following its roll out from December this year, with the first services to Edinburgh due to start in March 2019. The Azuma train will be stationed in Edinburgh Waverley between 12.37 and 13.17 every day of the week aside from Wednesday, giving customers plenty of opportunities to view its sleek exterior. Passengers will not be able to view the train interiors however. Testing of the Azuma fleet is already well underway, following successful test trips to Dunbar and Inverness last year which tested both the electric and bi-mode models on Scottish routes. 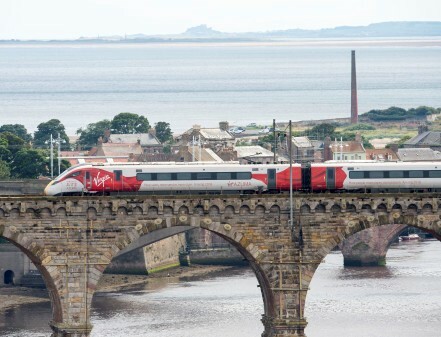 The Azuma visit to Scotland this week will enable driver trainers to be put through their paces on the newly-built trains, ensuring they have the knowledge to train the rest of Virgin Trains’ drivers on the east coast route. Azuma is part of a £5.7bn investment by the Department for Transport in new inter-city trains. Hitachi is building the Azuma fleet at its Newton Aycliffe factory in the North East of England, which is home to 1000 train builders, including 50 apprentices. The driver training programme comes nearly two years after Virgin Trains launched the biggest driver recruitment campaign on the east coast route since the 1980s. As well as allowing regular journeys between Edinburgh and London to be accelerated to just four hours, the Azuma is far greener than the existing fleet of east coast trains and will contribute to greater carbon savings on cross-border travel. The bi-mode trains are capable of running under electric power as far as Edinburgh but can switch to diesel power when travelling further north to Aberdeen and Inverness.